Queen duvet cover (88" x 88") featuring the image "Peggy's Cove Lighthouse" by Marilyn McNish. Our soft microfiber duvet covers are hand sewn and include a hidden zipper for easy washing and assembly. Your selected image is printed on the top surface with a soft white surface underneath. All duvet covers are machine washable with cold water and a mild detergent. Congratulations on being accepted into my group 3,000 views on One Image, I do like this image which is honestly painted and has a sense of immediacy. Thank you so much Mike for the welcome and kind comments! Thank you so much Hanne for your comments of appreciation! It's so good to hear this from another artist! Thanks again! Thank you so much Robyn for your recognition and feature. Appreciate it! 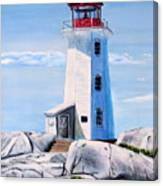 Thank you so much Sharon for visiting and commenting on Peggy's Cove Lighthouse. I really appreciate it! Thank you so much Madalena for your recognition! Thank you sooo much Charles! 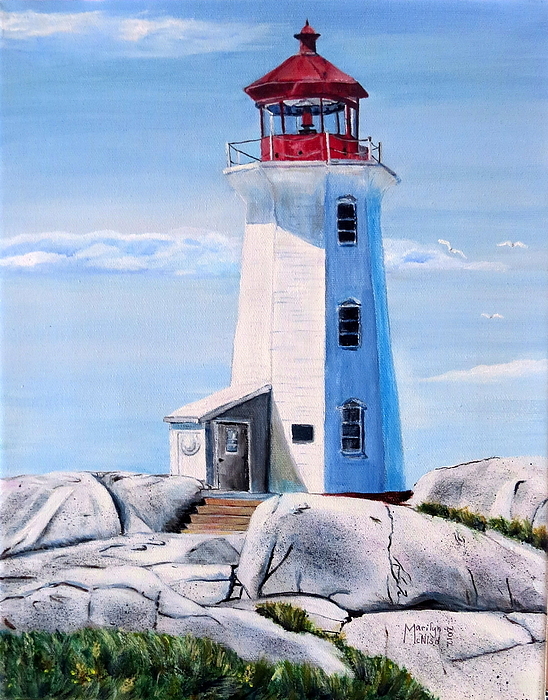 Beautiful lighthouse, and very well done painting! 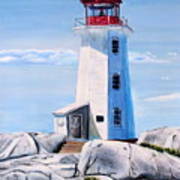 beautiful image of the peggy's cove lighthouse. Peggy's Cove is one of the most popular tourist spots in Nova Scotia and the lighthouse may be the most photographed in the world. I debated painting it as there are already many artist's and photographers who have posted their works... 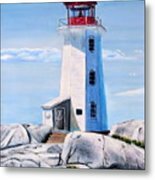 However, I have a passion for lighthouses and such a love of Nova Scotia, that I was compelled to paint it, in acknowledgment and tribute to it's history and legacy. :) Many thanks to: The World We See Group, Art from the Past, World Landscape Lovers of Art, Women Painters, Created By My Hands, The Peopleless Scenic Landscape Paintings and 1000 Views, 500 Views and the Paintings group for your recognition.